Stipend: We offer a $1000 monthly stipend plus housing which includes all utilities and wifi. Our program is unique in it’s emphasis on systems training, weekly educational classes and the demonstration of 20 years of successful farming. The housing provided is in a beautiful straw bale apartment with big windows and lots of natural light and beautiful outdoor patios. 5 vacations days and sick days as needed. Workers compensation insurance provided. Radical Roots Community Farm is catalyzing positive change by growing high quality, certified organic vegetables, educating about sustainable agriculture and living this vision. Our method of gardening is modeled on the forest ecosystem. At Radical Roots Farm we fertilize with compost, use cover cropping and integrate tree crops with our vegetable rotations. We never use pesticides or herbicides and have planted over 500 trees and shrubs to provide habitat and attract beneficial insects. We grow high quality organic vegetables and herbs in a sustainable way. We farm five acre of intensively cultivated beautiful garden soil and grow nursery crops in a 3,000 square foot greenhouse. 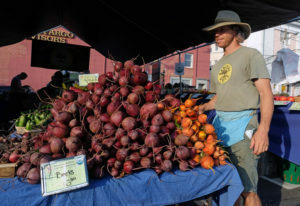 We sell produce and plants at the Charlottesville City Farmers Market, have a 60 member CSA, do a series of spring plant sales; as well as wholesale accounts to local restaurants & stores (Whole Foods, Local Food Hub, Feast, & Friendly City Food Coop, etc.). We started our first farming season in 2000 after apprenticing with successful small scale farmers for four years. Lee is passionate about growing herbs and is a practicing medicinal herbalist. Dave teaches permaculture design and organic gardening classes and has experience in landscape design. 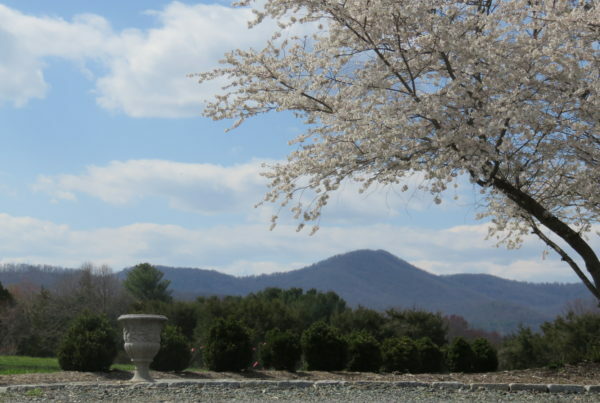 We are both committed to creating a community farm that fosters connections between the people and the land. We have two children that are a big part of the farm. The apprenticeship is an exchange of time and learning between experienced and new gardeners. We exchange our experience, mentoring, and vegetables for your hard work and willing attitude. The natural outcome is learning, a successful farm and confident, experienced new gardeners/farmers. We are looking for five people who are interested in learning about sustainable agriculture by working hard. A good attitude and communication skills are essential. Must be able to work as an essential part of a team as well as take on responsibility and work independently. The apprenticeship starts in March and continues through October. The work we do involves a lot of hand labor. We farm five acre using a walk behind roto-tiller and a compact tractor. We cultivate our crops with a lot of hands on care. Our time will be spent with the work of sowing seeds, potting up young plants, setting out transplants, mulching, weeding, watering and harvesting. We work an average of fifty hours a week. We organize field trips to other organic farms which is a great way to explore different techniques and compare different farming methods. We also teach permaculture classes and hands on herbalism classes. A farm design project will be assigned to apprentices to encourage them to begin thinking about their own farm. An independent research or prototype project will also be assigned in order to give folks a way to contribute their own unique interests and talents to the farm. Shared housing is available in a 400 square foot studio apartment that is attached to the barn. We will share a group meal one day a week and lots of vegetables will be provided for other meals. 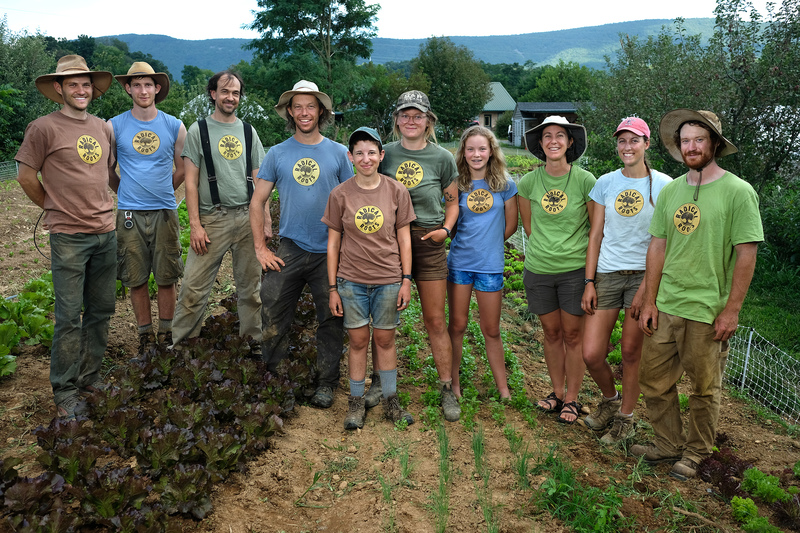 To offer apprentices an example of a working organic farm so that they can learn the cycles of the growing season. To give apprentices’ first hand working knowledge with specific crops, so that they can have a solid foundation of gardening experience. To give apprentices the experience and the confidence to start their own organic farm or garden. Contact Lee@radicalrootsfarm.com for more information or print out an application from our website.